It is no debate that Karen Paida Mukwedeya’s recent appearance as a presenter alongside Chief Koti at the Miss World Zimbabwe pageant recast a spell on unsuspecting fans. The 26-year-old sparked conversation as some viewers likened her to South African celebrity, Bonang Matheba, with some going as far as shaming her for imitation on social media. Karen is unshaken and views the comparison as an achievement and a sign that she is going in the right direction as far as her career is concerned. “A lot of people are comparing me to her, saying that I imitate her, I don’t see it as a bad thing because she is a legend in the industry. “If you are being compared to someone like her then you must be doing something right, whether you are imitating her or not, I think that just being compared to her is enough recognition. “Bonang inspires me on so many levels, she has a great fashion sense, I don’t know if I can keep up with the luxury and glam lifestyle but since I am there I can try. “Just being compared to her because of one gig is a big deal,” she said. The radio and television presenter rose to fame when she made it the top three at TLC’s Next Great Presenter against other contestants from all over Africa. One would think this made the journey easier for Karen but she revealed to H-Metro that she still had to audition among thousands of people for a chance to present at Capitalk FM. “I had a push with TLC, people thought that it would be easier but it wasn’t, it put me on the market and people started knowing me a lot. 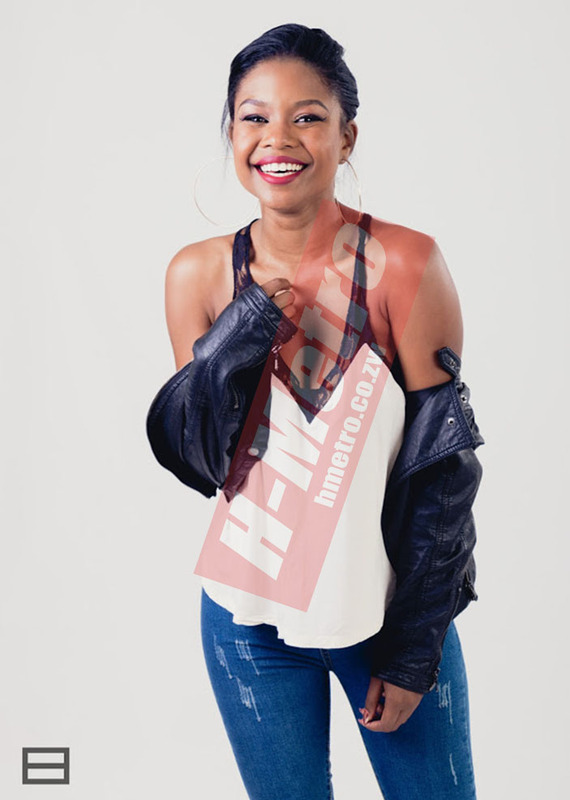 “It was still very hard to get jobs, I had to audition at Capitalk FM among 1000 people, no shortcuts,” she told H-Metro. Karen was with Jewel Magazine before going to Nafuna TV where she was exposed to backstage procedures. She told H-Metro that she is currently studying Project Management as she feels the need for a fall back plan. The host went on to say that she is a much simpler person compared to what her social media handles may portray. “There is a different life to TV. “Being a presenter, outlook is very important, which I despise, you have to put on a certain demeanour, I love fashion though. “Another thing people don’t know about me is I really am not what you see on Instagram, it’s just a great platform to showcase the fancy lifestyle. “A lot of people are always like “you are shorter than we expected” and when they see me in my sweatpants they are like “you look more glamorous on Instagram but so basic now,” Karen said. From Capitalk FM Karen joined Zimpapers Television Network (ZTN) and is now pursuing news reporting which she says she enjoys more. ZTN’s Glam Watch presenter opened up about her childhood saying she only learnt how to act like a girl when she started developing breasts. “I am a workaholic, as long as it brings in more money. “When I started working at Capitalk I was working two jobs, I had a 2-6am show then an eight to five at an NGO. “I am now in news, I am practically a reporter and I like it more; entertainment is beautiful, vibrant and it keeps you alive but with serious news I feel like it keeps me in the know. “With where I want to go, you don’t want to be a person who is just in entertainment but does nothing to help the community,” she said. Karen who is part of Rotaract Club of Borrowdale Brooke said she finds it hard to keep up with the glam life as she is just a regular person running around trying to get a story.